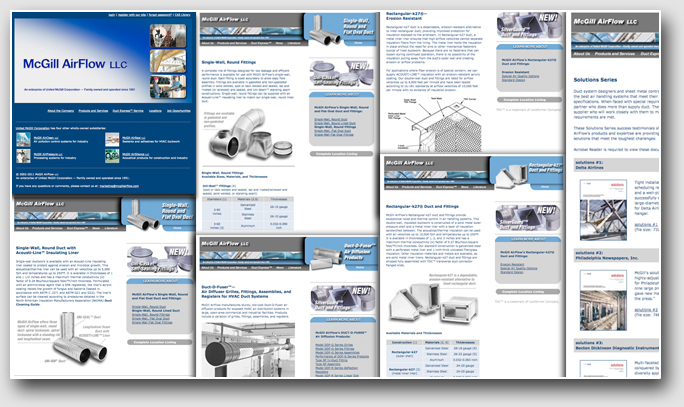 Situation: McGill AirFlow wanted to set up a web site that presented an overview of their complete product line. They also wanted to password-protect some areas for registered users use only. Action: This web site has 200+ pages. It captures and e-mails users' information. It is visited regularly by over 5k users a month.